is attached between each of the shovels fastened to the rear row of shanks. The chains do a great job leveling out the loose ground displaced by the shovels as they explode through the mole hills. The Leveling Shovels work the best when the cultivator’s hydraulics is set so that the shovels run about a 1/2” to 3/4” above the ground. Normally the only time the shovel comes in contact with the ground is when it explodes the mole hill. Whether the mole hill is old or new the results are the same. The 3-1/2” front face of each shovel will move a tremendous amount of soil when they hit the base of the mole hill at a good speed. The faster you travel the better. Most have found that 5 to 6 mph is fast enough to do a good job. Any faster may require wearing seatbelts. 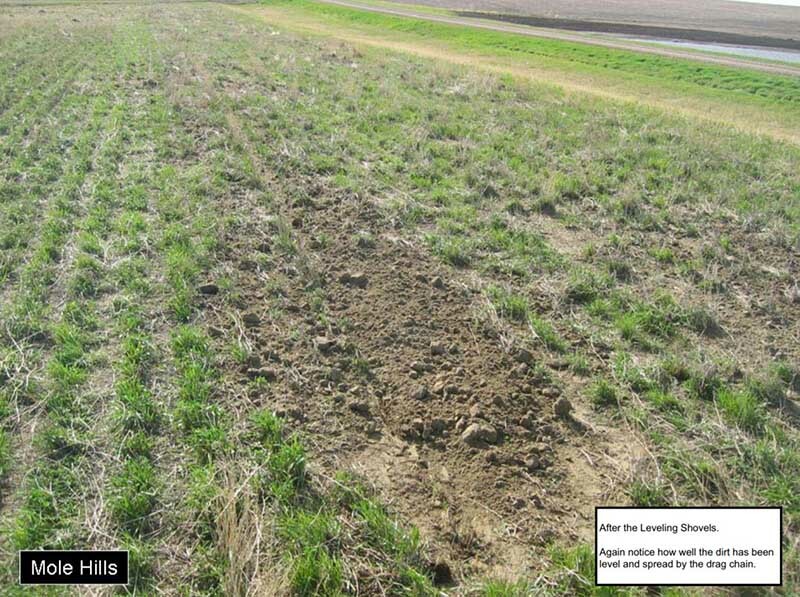 The Leveling Shovels are a low-cost, efficient way of preparing your hay fields each year. 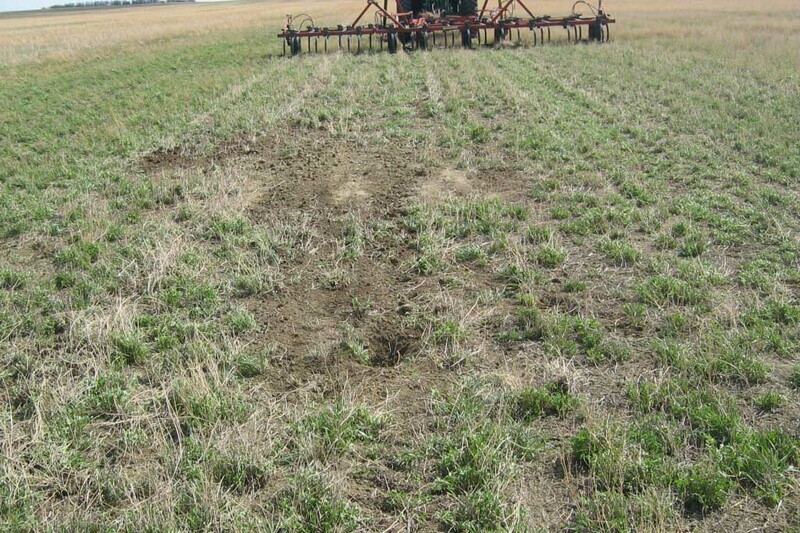 Since the shovels run above the ground and only come in contact with mole hills they require a minimal amount of power to be pulled through the field and will last a long time. 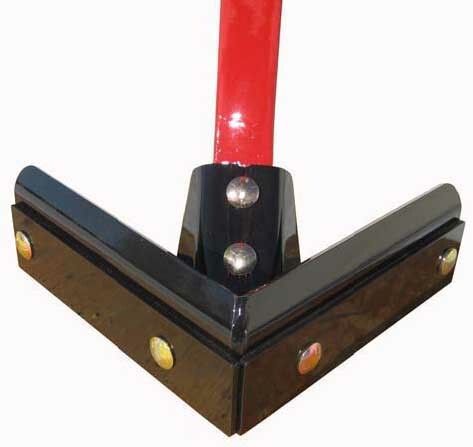 At the present time the Leveling Shovels are available for cultivators with 43 degree and 50 degree shanks. The shovels themselves cover a width of 16” wide and are designed to work on cultivators with 12” spacings. The Leveling Shovel Package includes the fasteners, drag chains (1/2” plated logging chain) and connectors required to join the chains at the cultivator’s hinge points. The Leveling Shovel is a simple idea that works remarkably well. Whether you buy a set for just yourself or you and your neighbor go in together on a set, we believe you will be happy with the job they do. 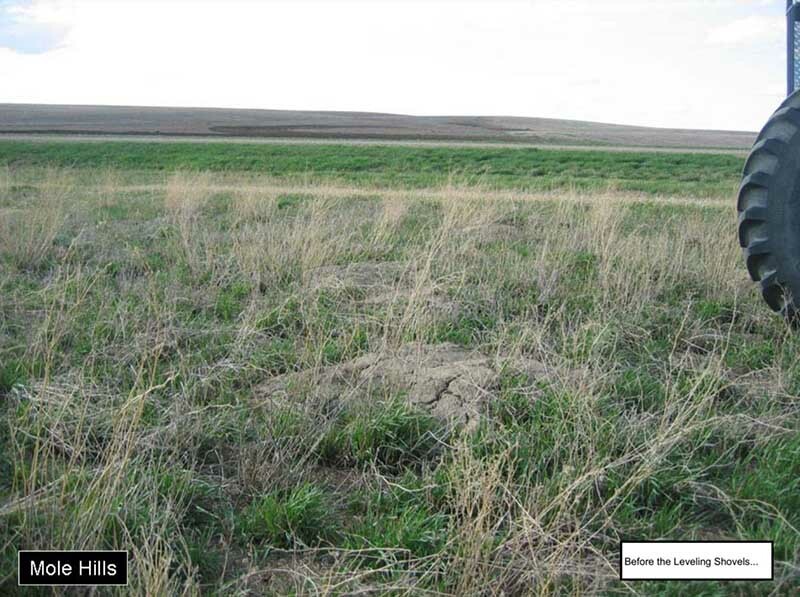 Problems with Pocket Gophers or Mole Hills?